HISD is not a party in the lawsuit, but said in a statement that it believes the changes are legal and will intervene if necessary. The recent changes helped reduce HISD’s bill to the state by about $100 million. There’s a new lawsuit involving school finance that could impact how much money Houston schools owe the state. 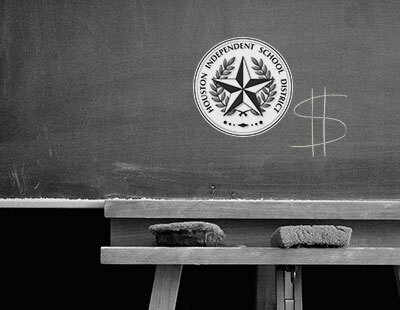 In Texas, wealthy school districts have to share money with poor ones in the so-called Robin Hood system. 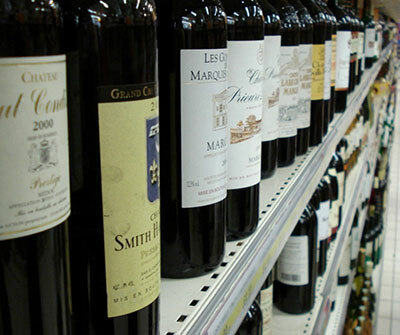 But earlier this year, the Education Commissioner changed how the state calculates that bill. That helped wealthy school districts like Houston by giving them a discount for extra tax breaks they gave homesteaders. But other school districts say it hurts them and violates state rules. “Other school district like our clients in this case, like La Feria and Joaquin, will see a reduction in recapture and a loss of money for their schools,” said Marisa Bono, an attorney with the Mexican American Legal Defense and Educational Fund, or MALDEF. 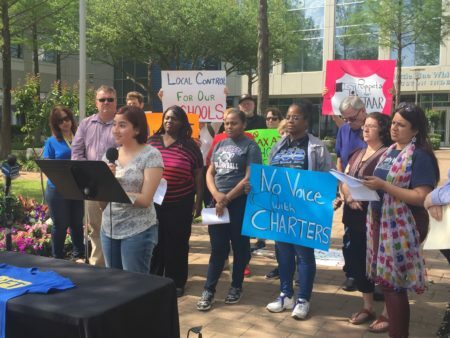 The group filed a lawsuit last week against the Texas Education Agency and Commissioner Mike Morath. Bono said that they didn’t follow the process to change state rules. She said that the changes are also illegal because lawmakers haven’t back-filled the money that would have gone to poor schools. “When you move unilaterally and arbitrarily to give an unfair advantage to property wealthy districts who have smaller populations of hard to educate school children, then we’re really going in the wrong direction to make sure that we’re meeting the needs of our students,” Bono said. The Texas Education Agency and the Attorney General’s office both declined to comment. The recent change to how the school finance system handles extra homestead exemptions helped reduce HISD’s bill to the state from $162 million to about $100 million. With other changes to the finance system, HISD’s tab currently stands at $77 million in total. 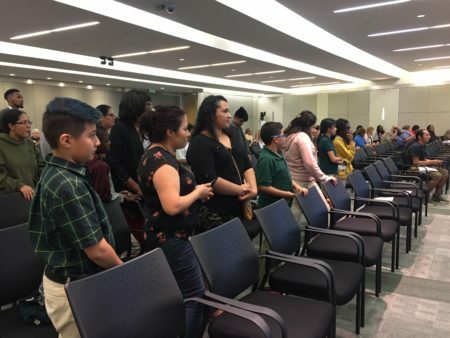 HISD taxpayers will take another vote in May to decide how they want to pay the remaining balance: with a check or by losing commercial property from its tax base. 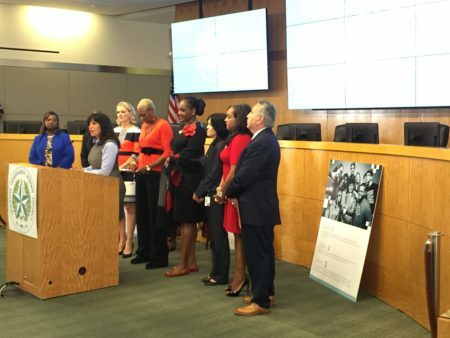 Editor’s note: This story has been updated to clarify HISD’s current recapture payment to the state school finance system.